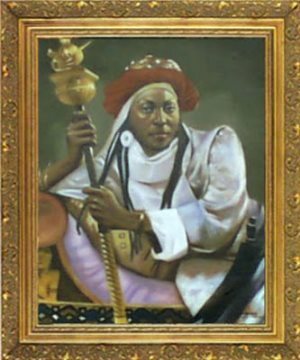 AFRICANGLONE – Queen Amina (also known as Queen Aminatu), was the elder daughter of Queen Bakwa Turunku, the founder of the Zazzau Kingdom in 1536. Some scholars date Queen Amina’s reign to about 1549, as heir apparent after the death of her mother. 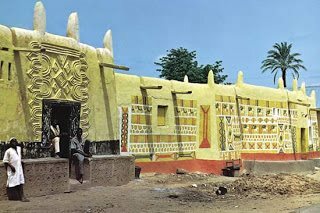 This medieval African kingdom was located in the region now known as the Kaduna State in the north-central region of Nigeria, capital at the modern city of Zaria. 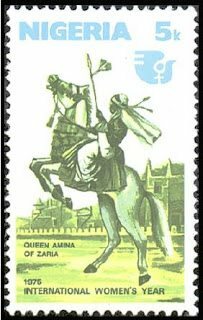 Zaria (aka Birnin Zaria) was named after Queen Amina’s younger sister Zariya, and is where the Royal Palace of Zaria resided. The earliest commentator to mention Queen Amina is Muhammed Bello’s history Ifaq al-Maysur, composed around 1836. Queen Amina is also mentioned in the Kano Chronicle, a well-regarded and detailed history of the city of Kano and the surrounding Hausa people. It was composed in the late 19th century and incorporated earlier oral histories before the Fulani jihad of 1804-1810. It included king-lists of the various Hausa kingdoms. These seven regions witnessed many unusual and strange events. The first to establish government among them, as it has been claimed, was Amina, the daughter of the Amir of Zakzak. She made military assaults upon these lands until she proclaimed herself over them by force. The lands of Katsina and Kano were forced to hand over levy to her. She also made incursions into the lands of Bauchi until she reached the Atlantic Ocean to the south and west. She died in a place called Attaagar. It was for this reason that the kingdom of Zakzak was the most extensive among the kingdoms of Hausa, since Bauchi included many regions. By 1805, the region was captured by the Fulani during the Fulani jihad. By 1901, Frederick Lugard led British forces and captured Zaria as a protectorate state. This is the same year that it is reported that Zaria sought British protection against slave raids from the Kontagora region. After a Zaria magaji (representative) murdered the British Captain Moloney in 1902 at Keffi, the British stripped the emirate of most of its vassal states. Since Nigeria’s independence from the British in 1960, Zaria is one of its largest traditional emirates. 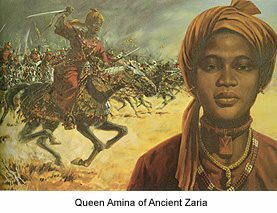 Zaria city was originally surrounded by walls built by Queen Amina, but those walls have since been removed. 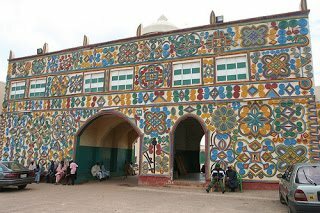 The above shown entrance is to the palace of the Emir of Zazzau. The emir counsels over a region larger than the city of Zaria. Despite the rise of the nation-states in Africa, the emirs exert significant power within the region and represents the continuation of the traditional leadership of the historical kingdom-states.